Queen Victoria, by the late 1880s, was weary. Nearly 70, she had ruled England for 50 years, and endured terrible personal losses; most notably the deaths of her beloved husband, Albert, two of her nine children, and her “devoted and faithful personal attendant and beloved friend” John Brown. As played by the great Judi Dench in Stephen Frears’ uneven but enjoyable “Victoria & Abdul,” she’s so tired of life she barely bothers to hold her head erect; her voluminous black gowns seem to drag her down into the floor. Informed at a dinner that a guest has composed a song in her honor, her expression is both exhausted and horrified. This film — which is, we’re told, “based on real events — mostly” — tells of how the elderly queen got her groove back, so to speak. It’s a sequel of sorts to 1997’s “Mrs. Brown,” in which Dench played a middle-aged Victoria, a recent widow, forming an emotional bond with her manservant at Balmoral Castle. In this film, taking place in what the queen surely thought would be the twilight of her life (she actually lived to see the next century, dying in 1901), she forms a similar attachment to a commoner — and, in this case, a Muslim foreigner. Abdul Karim (Ali Fazal) was a young clerk from India who came to London on a ceremonial errand, was retained as a servant at the palace, and eventually became her teacher (she wanted to learn to speak Urdu) and companion. Frears finds a tone very similar to his “Florence Foster Jenkins” last year; the film is charming and funny, but too often self-consciously so, stepping over the line into trying-too-hard territory. The villains — most notably Victoria’s son Bertie (Eddie Izzard) — are mustache-twirlingly sneery; the good folk, like Victoria and Abdul, are very good indeed. 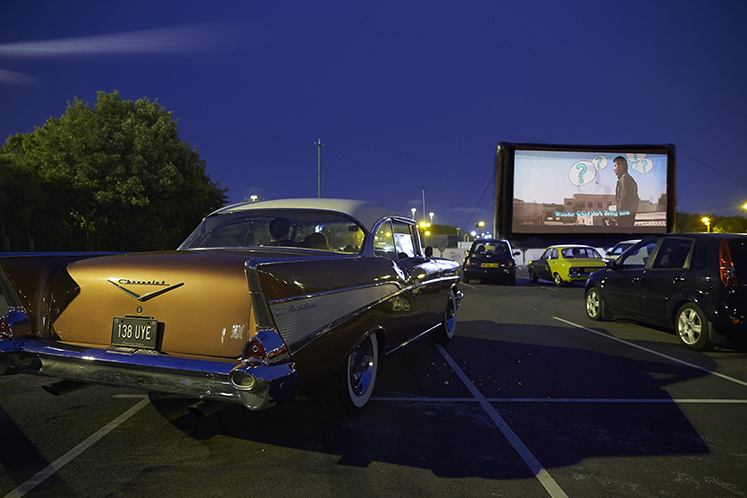 You end the film still not knowing very much about Abdul and how the experience shaped him, as Frears prefers to spend time dwelling on the often-silly pageantry of Victoria’s daily life. 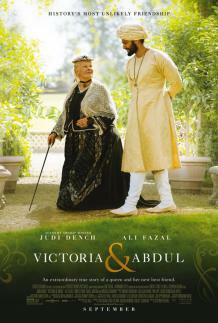 But thanks to Dench, “Victoria & Abdul” is constantly engaging and at times moving. Victoria, unlike almost anyone else we meet in this film, seems to have a sense of humor, and Dench lets it show in a tiny twist of the mouth, a glint in the eye. And she’s able to make this larger-than-life woman become, touchingly, very small. “Everyone I’ve really loved has died,” she tells Abdul tearfully in one quiet moment, “and I just go on and on.” In that voice, Dench finds a remarkable woman’s entire story; the latest gift, in a career full of them.